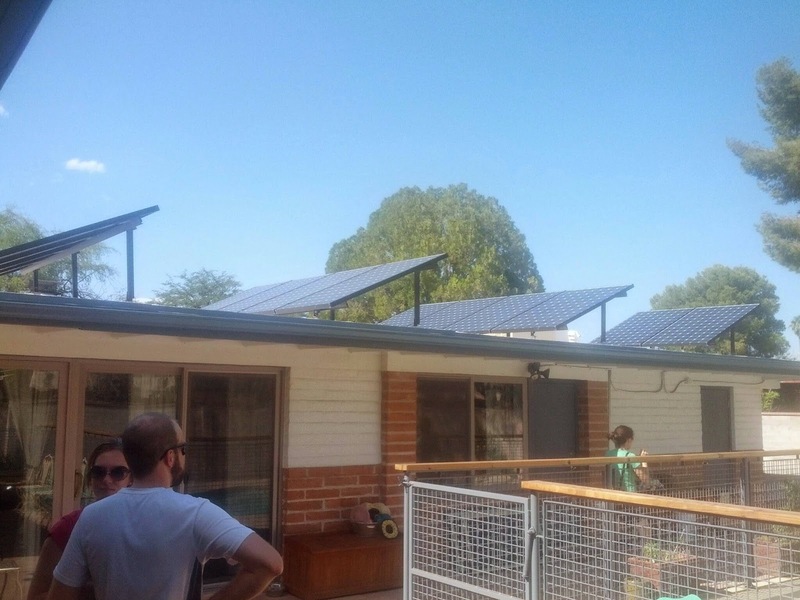 To be entirely sustainable here in Tucson means transitioning to solar energy. Dan and I are looking forward to getting our own solar panels on our roof. 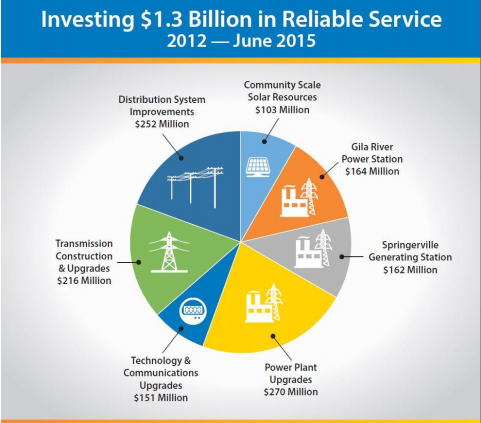 But, if Tucson Electric Power gets its way, it will become more difficult. 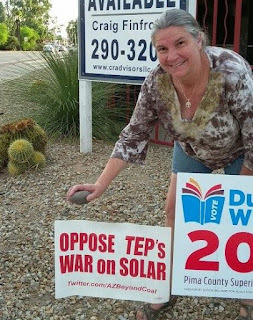 TEP recently submitted a rate change proposal to the Arizona Corporation Commission. The net effect will be higher electric rates for all of us in Tucson (with the exception of industrial users, whose rates will go down). But the worst part is that the changes would hit customers who have installed solar panels on their homes especially hard. TEP plans to reduce the credit for surplus energy generated by solar installations by more than half. They also plan to double the service charge for being connected to the power grid from $10 per month to $20 per month. That hurts all of us, but especially those who don't use much electricity (namely people generating their own power and low income families). As if that wasn't enough, TEP proposes changing the way you are charged for your power usage, from a rate based on how much energy you use throughout the day to a charge based on your peak usage for the day. Essentially, TEP is discouraging energy conservation and, once again, sticking it to customers who have installed solar panels. TEP even spent more on tech upgrades than solar in the past three years! Can we trust them to serve our interests? TEP says it needs to do all these things in order to transition to renewable energy and meet their (not very ambitious) "30 by 30" goal: having 30% of our electricity generated using renewable energy by 2030. They also claim that the current rates haven't covered the costs of the investments they've already made. These investments that have been really imbalanced: only $103 million for community-scale solar energy generation vs more than $600 million for dirty coal-fired power plants. Yet, somehow, they've still managed to be the biggest profit center in their Canadian owner's energy portfolio! It's obvious that TEP is really just trying to get rid of the competition, while only making token efforts to make our power greener in a part of the country where solar power should be a no-brainer. Our state is at an important crossroads - dirty coal or clean energy. Please, let the Arizona Corporation Commission know that this rate increase is unacceptable. Rooftop solar benefits us all. We need to be supporting those who are transitioning to solar, not penalizing them. As an environmentally conscious homeowner, I look forward to the day when we can afford to install our own rooftop solar so we can stop contributing to the problem of CO2 emissions and the depletion of our limited water supply caused by coal fired power plants. That is why it is so disturbing that TEP is setting up a rate case on rooftop solar users now – to make it financially prohibitive for middle-income families to switch to rooftop solar in the future (when the price of the units becomes more affordable.) TEP is not serving its customers' best interests. Instead of taking this as an opportunity to transition to clean energy, they are forcing out the competition. In the 22 years I’ve lived in Tucson, it has gotten increasingly hotter. If we are going to stay here, we are going to need to power our air-conditioners and have an adequate water supply. Tucson has been in a drought for over 17 years, so it is vital to the city’s future that we conserve our depleted ground water. Coal generating stations require coal and water to run the turbines. It takes even more water to extract the coal from the ground. The mines create poisonous tailings that seep into our streams and rivers. That is just irresponsible when there is another choice: clean, renewable solar energy. And there is one resource that Tucson has plenty of – sunlight. This is our big opportunity to lead the way in solar energy. While Tucson Water recognizes the urgency in conserving our ground water and is working with our local Watershed Management Group to restore our aquifer, TEP is using this rate increase to destroy the environmentally sound choice while it continues to invest in coal-fired power plants. On their rate proposal, TEP claims that they want rooftop customers to use their community-scale solar. But they plan to get only 1/3 of their power generated by solar. The company has invested roughly $600 million in dirty, coal fired powered plants and only $103 million on solar in the last three years. 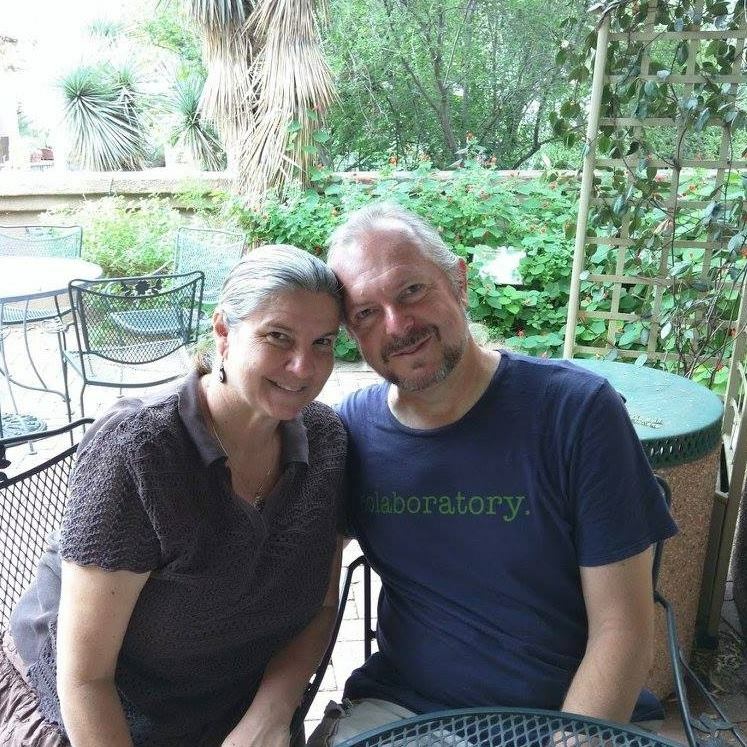 You have an important decision to make that will have a huge impact on Tucson’s future. 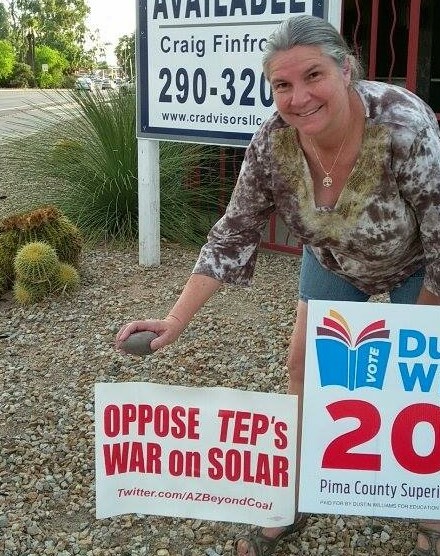 Please, don’t let TEP stop individual homeowners from doing their part to make Tucson’s energy cleaner and conserve our limited water supply. 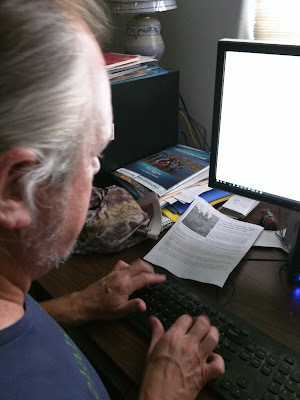 I am writing as a customer of Tucson Electric Power to express my concerns about their proposed rate case changes. Several of the proposed changes will negatively impact both lower-income utility customers and customers who have made the investment in residential solar. TEP has argued that they need to increase energy rates for residential and small and medium business owners, while lowering the rates for industrial users. Since most of the business growth in Tucson since 2008 has largely been in the small to medium business sectors, the proposed increase of $21 - $280 per month in these sectors seems likely to slow down growth. The proposed doubling of the residential customer charge, which is not indexed in any way to household energy usage, will disproportionately harm low-income customers. However, it affects every residential customer in Tucson at a time when income in Tucson is not keeping pace with the cost of living or national average incomes. Even more disturbing is TEP's plan to make residential solar installations less affordable by decreasing the net metering credit by more than 50%, while also changing the billing methodology from use-based to peak charges. This disincentivizes energy conservation and ensures nearly all customers will pay higher rates. TEP justifies these rate increases by saying they are necessary to increase their renewable energy portfolio to 30% by 2030. However, given their current installed capacity and their planned increases, the rate of increase in their renewable portfolio is glacial - certainly not enough to justify their exorbitant rate increase proposals. TEP has also argued that they need to stop "subsidizing" residential solar in order to install community-scale solar arrays. They even cite an MIT Future of Energy study in the FAQs on their rate increase proposal page as their justification for lowering the net metering credit, but they misquote the study. It actually states that both residential distributed and utility scale solar installations are needed and should be incentivized. TEP has shown they are not an honest agent in this proposal. Also, given that UNS Energy is the most profitable holding in the regulated energy business segment of Fortis, Inc., it's hard to see this rate increase proposal as anything other than a plan to further increase the profit margins of TEPs parent company, rather than a necessary increase to fund needed upgrades in our power grid. Please do not approve this rate case from TEP! Don't let them get away with this! Make your voice heard. It doesn't have to be as verbose as Dan and I!